A couple of posts ago I mentioned that I was going somewhere for my holiday, that somewhere was Amsterdam. Actually not long ago, 4 months if we wanna be a bit more specific, I was just in the city for my 22nd birthday. I was there for a week with my sister, her boyfriend and my ex-housemate (see guides and posts here). but this time I came back with my boyfriend. As we're both chefs, it's difficult for us to get time off together so this one week that we did, we just decided to go. It was close, fairly easy to travel to from where we are and also a definite change of scenery as we live in the country side where the streets are deserted by 9pm and the shops are shut by 5pm. 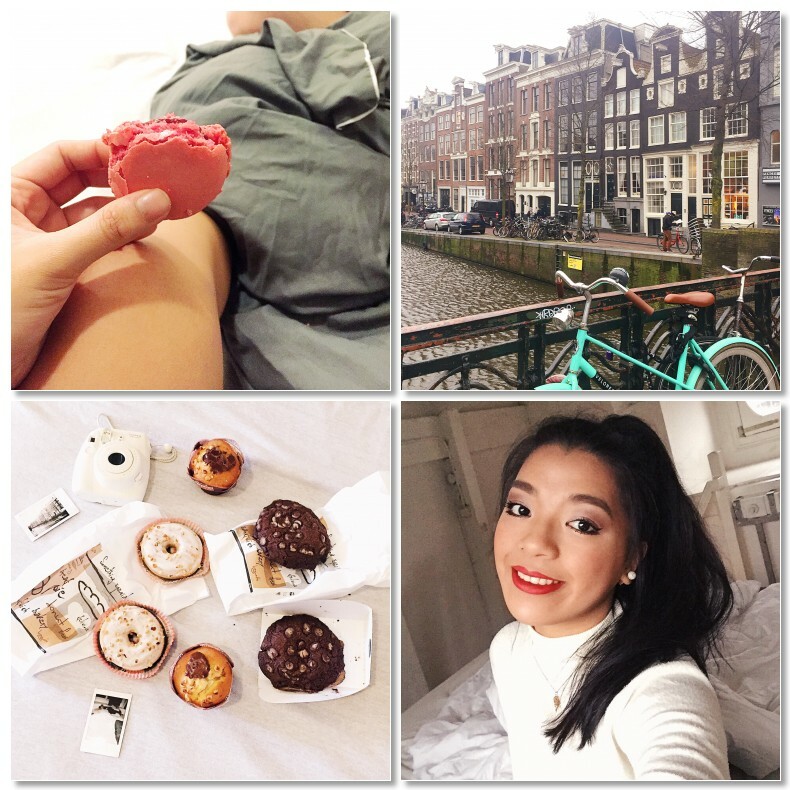 As this was my 3rd trip to Amsterdam and my boyfriend's 4th, we didn't do any sightseeing as we've done them all or shall I say, all of the ones we wanted to see and do anyway. The weather wasn't particularly great either, there was a storm back in England as we were away but Amsterdam did seem like it had one too. It constantly rained and was very windy and cold. And with everything being so easy to get to and still open in the wee hours of the morning, we didn't hold back with the food and got a lot of munch every night. As it was so cold, I didn't bother taking my Canon with me out and about it definitely lightened my bag and as my hands got so cold so easily with the rain, I wasn't able to have them out for long either but thanks to my Fujifilm Instax and my iPhone, I was still able to document this break. 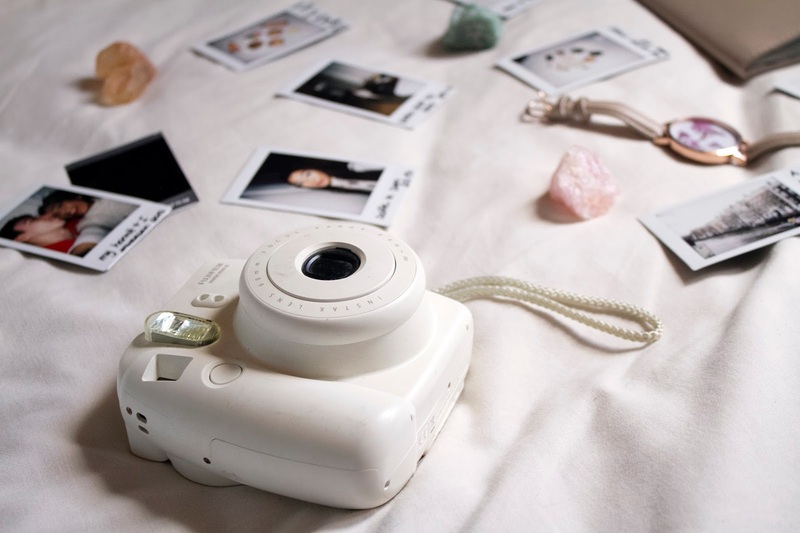 Both are very easy to use and can take a photo in seconds and I just love the old photo effect the Instax has on the photos. It did save my Canon from getting wet from the rain too. I got mine from Currys but you can get them almost everywhere, Amazon, Argos, Urban Outfitters, etc. My passport sleeve and world map print watch are both from Asos, a gift set from my mum for Christmas. 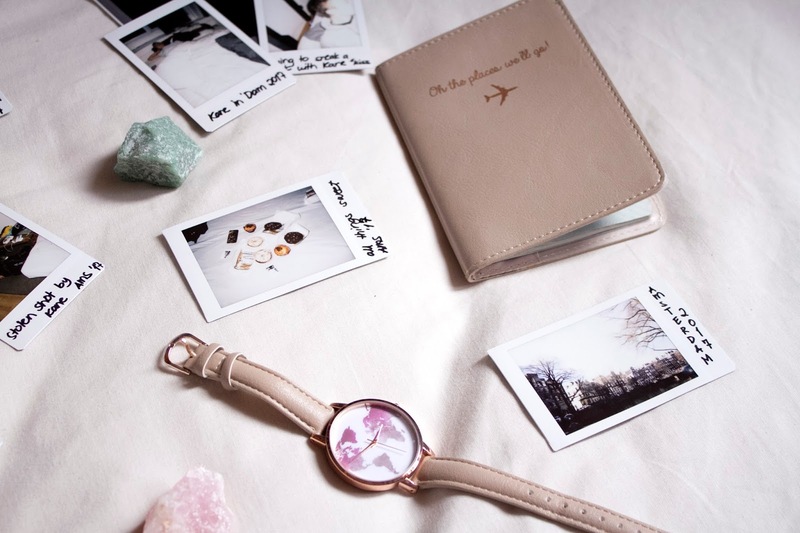 I love the pink beige colour, its definitely one of my favourite colours at the moment. 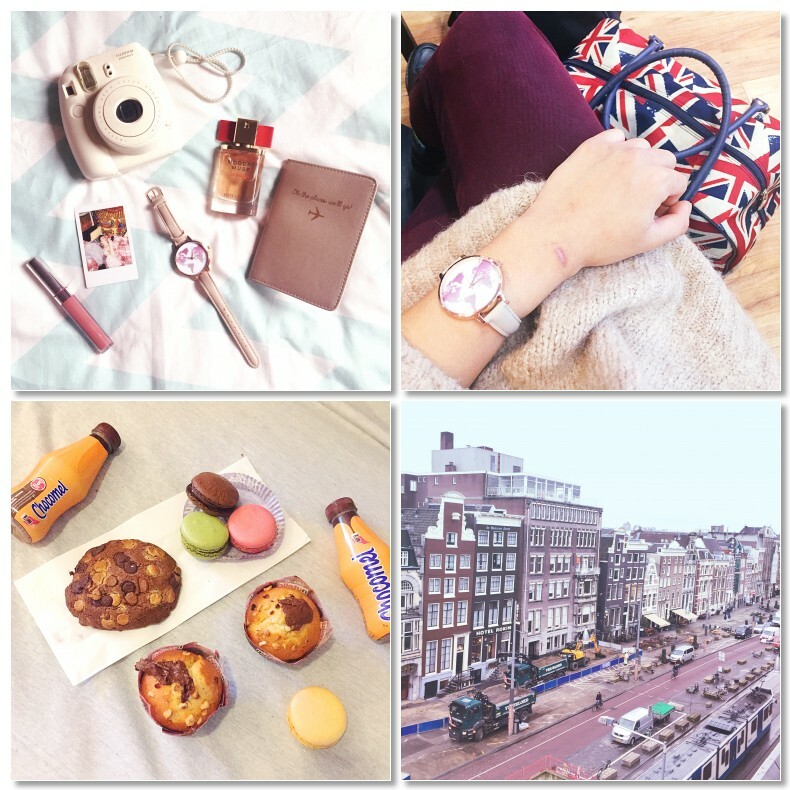 If you haven't already, find me on Instagram '@marieljanina', where I update more often. Amsterdam looks so beautiful! 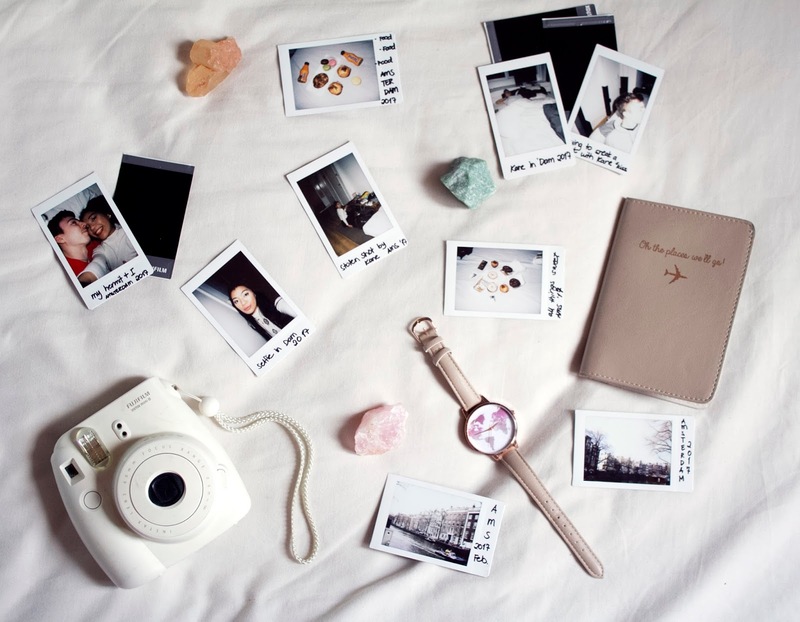 Instax cameras help savor memories in the cutest way possible.